Seems we have a lemon loving lady possum here. Our lemon tree, despite every possible effort, has suffered badly from her nightly grazing. We’ve hung bags of blood and bone in the tree, even special flashing lights as recommended deterrents. Neither worked – in fact we went out one night to find her playing with the lights like a cat with a toy. She’s a pretty little thing, and not at all frightened of us – seems a shame not to like her, or worse, trap and transfer her to another location. I’m told that this is not a kind thing to do at all. And so …. Robert is in the process of building a cage over the tree or else it will be gone forever. 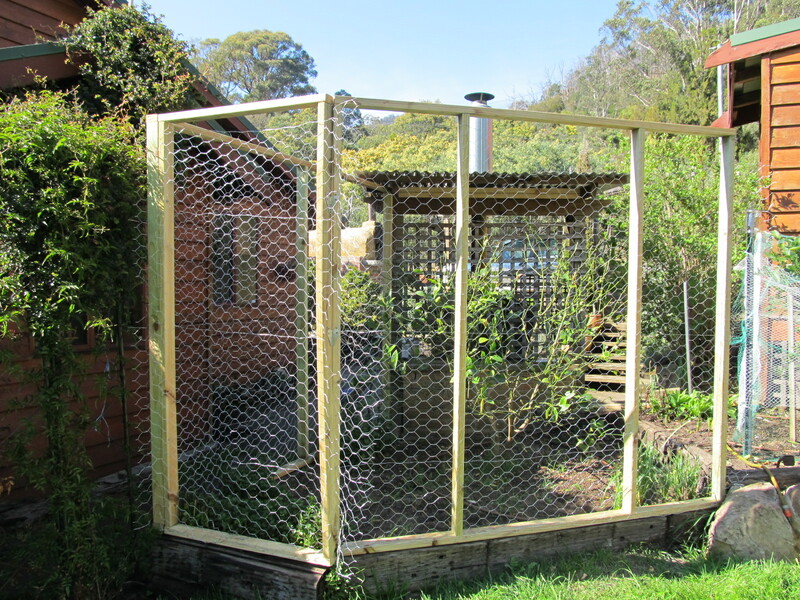 I hope it appreciates our ministrations – it’s going to have to produce a lot of lemons to make up for the more than $200 spent on its cage. 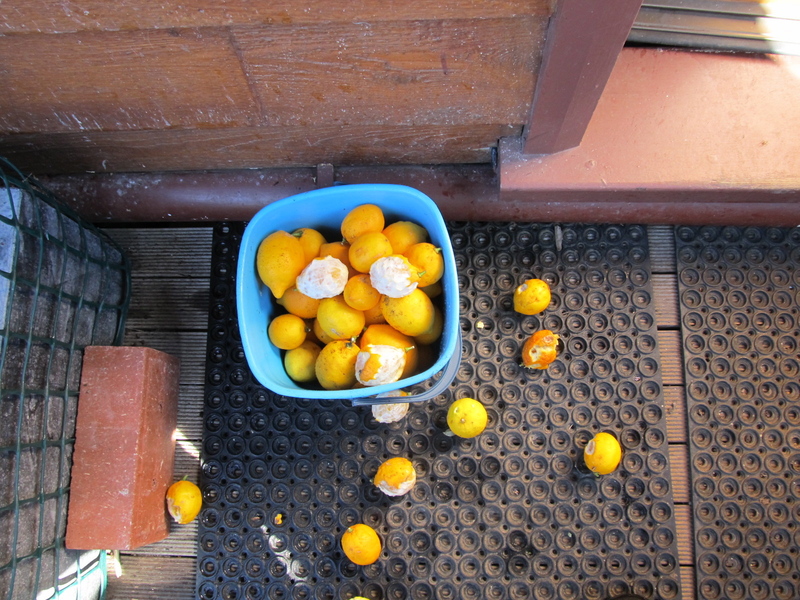 Limona, as I’ve come to call this mischievous possum, must know what’s in the wind and, desperate for the taste of lemons I suppose, helped herself to a container of them that I’d accidentally left sitting at the cooking school door. Hopefully, she will will move on elsewhere of her own accord now that her lemon treats will be out of reach. Are you sure its a possum eating your lemons? I had a similar problem, and eventually found someone suggesting rats. Set out rat bait ( in piece of piping with ends almost covered to deter larger animals) and have had no problem since. Still have possums though, but they don’t eat my lemons. Good tip, thanks. Might be rats, though we have seen a possum in the tree. The disappearing lemon tree is not an issue now as it has a cage around the entire tree and it’s looking great again.